This is something special. 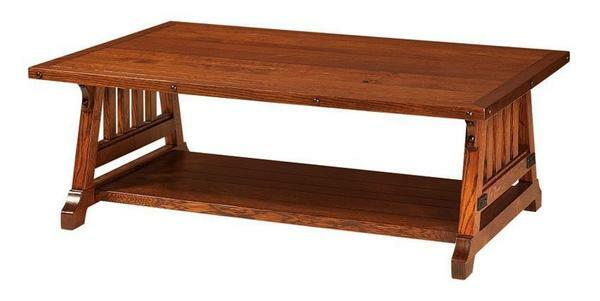 Featuring uniquely built edges and an extra thick, plank-style top and shelf, the Garber is a solid wood coffee table that promises to bring long decades of use and enjoyment to the heart of the home. If you're looking for a unique conversation starter that won't ever lose its sheen or go out of style, the Garber is an ideal choice. Use the menus above to choose the perfect wood and stain for your unique Garber. If you have any questions at all - or if you would like to see free samples of any of our woods and stains - please don't hesitate to get in touch by phone or by email at any time.